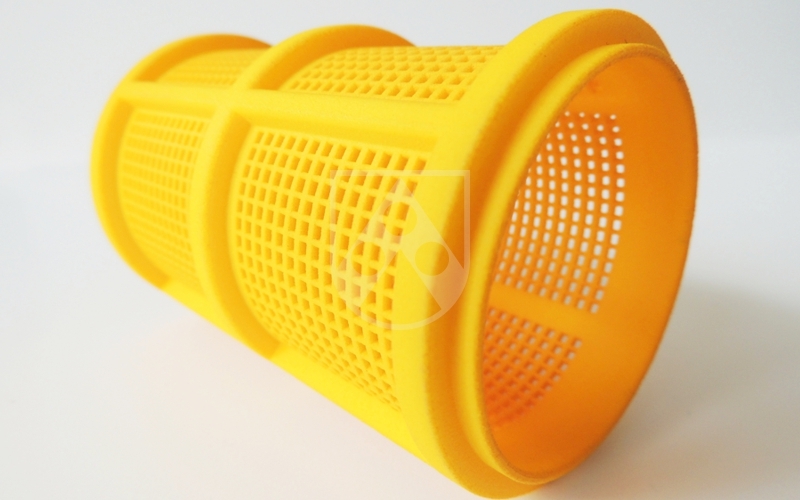 Industrial 3D printing is today enabling a whole new approach to design. Innovative results are produced by way of parts not previously possible with existing technologies, offering new options for the planning, design and construction of your components. Small batches: We offer the production of small batches of complex parts in a relatively short time (rapid manufacturing) at our centre of expertise in 3D printing at the Oepping site. Prototypes: We also make prototypes, quite literally putting parts that have never been manufactured before within reach. Before long, you will be holding an operational model based on your specifications. As a leader in plastics processing technology, Röchling was involved at the early stages with additive layer manufacturing processes with which three-dimensional (3D) parts can be produced in one step. 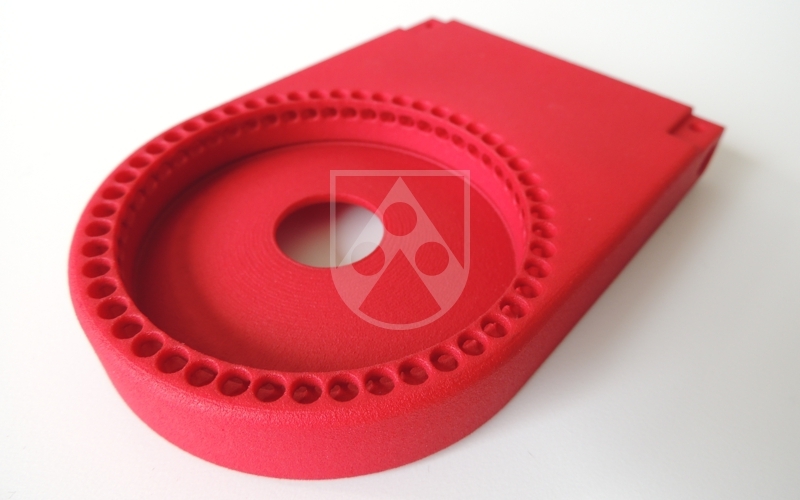 Röchling uses a process known as selective laser sintering (SLS), where 3D structures can be produced from source materials in powder form using laser beams. The additive layer manufacturing process offers entirely new ways for you to design, construct and make your components. Small batches and prototypes could only be produced with previously available technologies in a very costly process, frequently involving long development times. Design options were also limited in many cases due to technical feasibility. Through the use of selective laser sintering, Röchling can offer you the rapid manufacture of new components for small batches and prototypes as well as the benefit of technical and economic advantages. Design flexibility: The SLS process allows the production of the most intricate components which could not be made before now with conventional CNC methods or by injection moulding. Whether undercuts, cavities or indentations – any shape which can be designed with a 3D CAD program is possible. Long service life: We use various materials based on polyamide 12 (PA 12) for selective laser sintering production processes. The outstanding features of PA 12 are its high mechanical strength and its resistance to abrasion, wear and chemicals. Rapid manufacturing: Your component is ready for use in a very short time. The additive layer manufacturing process is based directly on the 3D data. The mould and die construction needed in injection moulding is not required. Procedures needed in CNC machining, such as drilling, milling, turning and sawing, are not applicable. 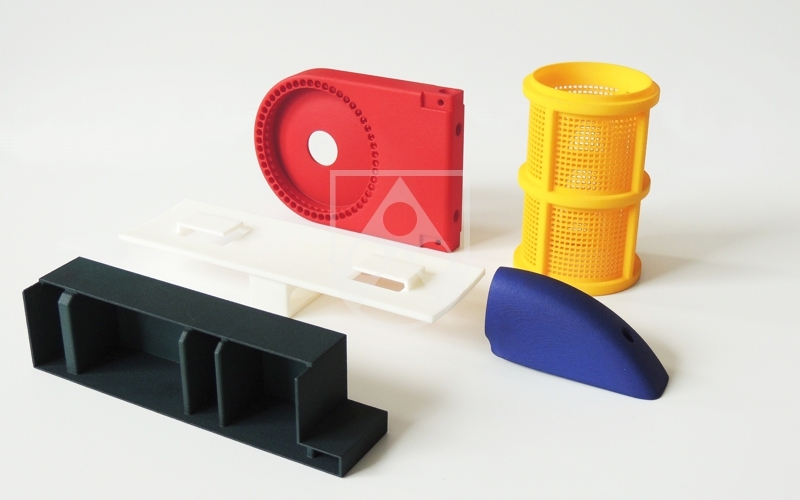 Quicker development processes: Prototypes which are made in 3D printing processes are soon ready for pre-series tests. This speeds up your product development processes.